12 Yeti “Roadie” 20 quart Coolers will be auctioned off throughout the Live Auction. Each Cooler contains a card from the Ace to the Queen. Upon completion a draw will be drawn and the person that purchased the Cooler with the matching card in it wins a Chapuis Armes single trigger side by side 20-gauge shotgun. Winner must have a valid PAL to take possession of the firearm. 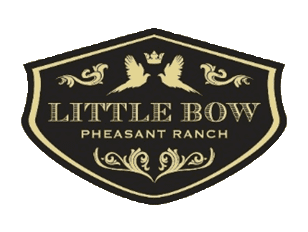 You and your guests will arrive at the Little Bow Pheasant Ranch near High River, Alberta at noon on Saturday, September 28 to join hosts Ron Carey, Tom Spoletini and Managing Director of Pheasants Forever Calgary, Perry McCormick. Upon arrival you’ll be treated to a Spolumbo’s lunch at the club house. That afternoon you’ll wander the Little Bow River Valley following some of the best pointing dogs in the business handled by Blackfoot Kennel’s very own Randy Blanchard – in pursuit of 50 ringneck roosters. Enjoy a classic dinner at the Clubhouse and spend the night in the privacy of your own room. After breakfast the next morning, you’ll be back afield chasing 50 more ringnecks as well as any of those that might have escaped the day before. Trip includes lodging, meals and beverages. Firearms, ammunition and bird cleaning are the responsibility of the purchaser. Good for September 28 & 29, 2019 only. You and your partner will spend 2 days in the comfort of an 18 foot open boat in shallow bays of 2 legendary lakes in Southern Alberta for big breeding pike on the fly. Red Willow Outdoors have been fishing these waters and developing fly patterns that catch big pike for nearly 3 decades. Your trip begins by meeting your guide at Badger Reservoir on the first morning. You will cast for the big post spawn female pike for the bulk of the day, however, an hour or two can be spent targeting massive Lake Whitefish on small nymphs. You are welcome to keep a few for the grill or smoker. At day’s end you travel to Brooks, Alberta for supper and a solid night’s sleep in a luxury hotel room. The second day begins with a big country breakfast followed by a day of fishing the many bays and flats on famous Lake Newell. Recent regulation changes and the addition of the invasive Prussian carp has resulted in an explosion in the sizes of the apex predator – northern pike – being caught in recent times. Enjoy a luxury getaway for five days and four nights at a four-star resort in Mendocino, California for two people. Your vacation includes a gourmet dinner, a spa visit with massage, a tour of the Mendocino Botanical Gardens and a special wine tasting with lunch. Your trip also includes an additional activity to choose from; options are either an ocean kayak tour, a historical train ride through the redwoods or horseback riding on the Pacific Coast. You and a companion will experience two days of some of the finest flyfishing Montana has to offer on rivers such as the Beaverhead, Big Hole and other prime waters over two days of fishing with Dennis Rehse, one of Montana’s premier guides. He is renowned for his skills at putting anglers in position to sight fish for monster fish, for his incredible knowledge of his fishery, and for his long hours helping anglers enjoy and succeed on his home rivers. The HJ Ranch is located five miles south of Dillon which is still a true western Montana town. Your three nights of private accommodation will be in a refurbished 110-year-old farm house. From the house you will have private access to up to about a mile of the Beaverhead River as well as two private trout ponds and one mile of Poindexter Slough on the 500-acre ranch. This will be THE fishing trip of your summer! Dennis Rehse’s summer fills very quickly so reserve your days as soon as possible. July is already booked, however slots are open in May, June and August. Good for the 2019 season only. This hunt is for 4 people for 2 days of hunting. Join Pheasants Forever Calgary managing director, Perry McCormick on a Hungarian partridge dream hunt on the Bar Diamond Ranch at Bindloss, Alberta. You will arrive at the historic cabin on the Red Deer River on the evening of Thursday, September 19 – choose your private bedroom, get acquainted with the yard and cottage and enjoy a country style supper. After breakfast the next morning, you will depart the ranch for a day of Hungarian partridge hunting. Lunch will be provided in the field and another farm style supper will be provided upon return to the Bar Diamond that evening. Same for Saturday – hunt time is gentlemanly – 9am – 5pm. Depart Sunday after breakfast. Hunt includes – all meals, dog handling (if needed), bird cleaning, wine and beer. Not included – firearms (can be arranged), hunting licenses, ammunition. You and seven guests are in for a treat right at your home or at the residence of your choice. Calgary Golf & Country Club’s very own Chef Vince Parkinson will arrange to have all the food and wine delivered to the residence of choice. The Olympic Chef will then prepare and serve you and your guests to a Five Course Gourmet Dinner with wine pairings. 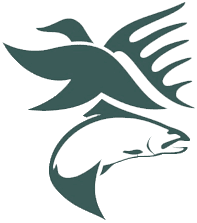 This is a fully outfitted wild bird hunt for two people for three days and three nights in northwest South Dakota, near the town of Lodgepole. The Outfitter can supply dogs, however guests are welcome to bring obedient trained dogs. Paradise Outfitters reserves the right to mix other hunters in a chosen time slot with other hunters. If the purchaser of this trip brings two more guests for $2500 per person, the time slot would be reserved exclusively for your party. Hunt dates available are Oct 19-21, 26-28, 29-31; 2019 season only. Ram #706 was born in 1998 in the Sheep River Sanctuary west of Turner Valley. In October 2008 at the ripe old age of 10, poachers shot and struck the ram and the bullet penetrated both of his horns. A week later a second ram was wounded. The wounded rams went missing for 3 months before showing up on the OH Ranch, far from their traditional range. They were observed grazing on the grassy slopes, slept by the barn and occasionally wandered down to highway 541 to lick salt from the road. Both rams returned to the sanctuary in 2009 for annul rutting activities. Amazingly #706 was strong and healthy and his horns continued to grow in a normal fashion in spite of the massive wound By now he was well on his way to growing the largest set of horns ever to be recorded. Both rams returned to the grassy slopes of the OH in the winter of 2010. Sadly and unexplained, #706 returned one January night to the highway and was struck by a moving vehicle He made it back to the ranch and succumbed to his injuries. A tragic end for a ram who survived “Against All Odds” for 12 years in the wild. Jerry Riewer, proprietor of the Northgate Motel in Conrad, MT, hosts a three-day wild bird pheasant hunt in the Conrad area of northwest Montana. Jerry has generously donated four nights lodging for four hunters at his Leaning Rooster Hunting Lodge; he will accompany the group on one day of the hunt and will introduce the hunters to some of his favorite covers for self-guided, walk-up hunts. A fabulous Montana-style steak supper will be provided one evening of your choice. Additional meals are available at local and nearby towns. Not included: Licenses, guns, ammunition, dogs and meals except for the steak dinner. This hunt is for 2019 only. Breath-taking! Unforgettable! Extraordinary! No one adjective can describe this fabulous one-day Canadian adventure. Your early-morning Calgary departure gets you to Churchill in time for a five-hour sight-seeing excursion in a Tundra Buggy. Witness polar bears in their natural environment as they migrate toward the coast for winter. This is Classic Canadian Tours’ most popular adventure tour and no wonder! Trip is for two people. 6:30 a.m. departure in chartered jet. Breakfast served en route. Presentation on board from a naturalist speaker. Five to six hours of guided Tundra Buggy sight-seeing with a hearty lunch served on board. Souvenir shopping in historic Churchill. Dinner served on return flight; arrive back in Calgary approx. 8 p.m. Experience one of Canada’s most awesome iconic symbols up close and personal. Spend 2 days on a fully guided trip down the lower Bow River, below the Carseland Weir, far away from the heavy traffic of the middle Bow, with renowned guide Eric Grinnell of Silvertip Outfitters, who has been outfitting on the lower Bow for over 30 years. Your fishing experience will be enhanced by staying at Silvertip’s Lower Bow Lodge guest house. Located on the Bow, downstream of the Carseland weir, the Lodge is a perfect base for the angler as it is just 5 minutes from the private boat mooring on the “Secret Bow”. ​After your first day of fly-fishing from jet boats you will be treated to a chef prepared supper served family style in the dining-room. After your meal, enjoy your river-side sleep at the lodge. The second day starts with a hearty country breakfast followed by another day in the Alberta wilderness fishing for chrome slabs and big browns. This trip is for 2019 Only. This package includes one week’s accommodation for up to eight at the Bone Ami beachfront retreat on Abaco, Bahamas. The spacious three-bedroom, three-bath main house – just 40 feet from the clear blue waters of Cherokee Sound – comfortably sleeps 6 adults. An adjacent guide house offers a kitchen, bathroom and beds for three while a charming gazebo on the sand sleeps two. Great for families! It’s a perfect spot for snorkeling, diving, kayaking, swimming, exploring and just plain relaxing. A cook and masseuse are available upon request for hire. You will rarely see more than a handful of people on the quiet sandy beach. Acres of salt-water tidal flats, the preferred habitat of bonefish, stretch out in front of the house. Local guides can take you to the best locations on the island for bonefish and /or for salt water big game fish including mahi mahi, wahoo, tuna and more – just a mere mile or so offshore! Specific dates are subject to availability. Trip must be taken within 3 years – between September 2019 and September 2022. You and your guests will join host Stan Grad and Managing Director of Pheasants Forever Calgary, Perry McCormick on a 2 day / 2 night pheasant hunt at the exquisite Chief Mountain Lodge on the St. Mary’s river under the shadow of Chief Mountain. Arrive at the ranch south of Cardston at approximately 5 p.m. on Oct 18. Get acquainted with the lodge and enjoy a cocktail, an appetizer and the view. Supper will be served about 7 pm. The following day you wake to light breakfast and head out for a morning walk from the lodge to the hunting grounds which feature some of the most scenic backdrops imaginable. Midday finds you back at the lodge for a big hearty lunch/brunch meal. After a short rest you head back out to the pheasant grounds to try to outsmart the mobs of roosters trying to find the weak spots in the trap you set. Another gourmet meal to end the day. Saturday morning features a light breakfast followed by the final pheasant drives of the trip. The hunt wraps up mid-day and a final lunch is prepared for you prior to your departure. All food and beverages are provided. You need only bring your gun (break guns only please) ammunition and suitable clothing. Dogs and handlers will be supplied. This trip is good for 2019 only. Experience some of the best wing shooting and fishing the world over in the province of Santa Fe, Argentina. Parana Sunrise Hunting and Fishing Lodge is pleased to offer a 4 day combination High Volume Dove Shoot and Golden Dorado Fishing on the Parana River. You and your guest will shoot for 3 full days – 6 hunts, and fish for one full day. Additional days and or hunters anglers can be included at a discounted rate. All meals, snacks, beverages and local alcohol and wine are included. Transportation to and from Santa Fe, guns, fishing equipment are not included. This trip is good from October 1 – April 30, 2019 or 2020 only. Experience the magic of Africa. This safari is for 2 people for 6 days and 6 nights accommodation at the eco-friendly Zulu Nyala Heritage Safari Lodge or the Zulu Nyala Tented Safari Lodge situated in the heart of South Africa’s Zululand conservation region – one of the richest conservation regions in all of Africa. These luxurious settings host elegant, colonial style accommodation, brimming with the finest comfort and hospitality. Cool lounges, wide verandas, and sparkling pools make being “in camp” a relaxing and pleasurable experience. You will be treated to three delicious meals per day, prepared by ethnic chefs – with an African flavour of course. Tastefully prepared buffet meals may b enjoyed in the Boma or under the stars to the rhythm of Zulu dancers. The trip includes two game viewings activities per day guided by professional game rangers in open game viewing vehicles on Zulu Nyala Game Reserve. Zulu Nyala Game reserve is home to elephant, rhino, leopard, cheetah, buffalo, hippo, nyala and many other species of plains game. You will be amazed at the feeling of being amid these beautiful creatures. For the adventurous visitors, you can participate in game walks or tracking trails into the heart of the dense bush, where you will be surrounded by the calls of the wild. Day trips can be arranged for visits to several game preserves in the area or to Sodwana Bay, St. Lucia (World Heritage Site) and surrounding arears for activities like scuba diving or big game fishing in the Indian Ocean. Other activities that can be arranged is tiger fishing on Jozini Lake or golfing at a five-star resort. Journey to Presho, South Dakota, smack dab in the middle of the Golden Triangle of pheasant hunting marked by Pierre, Mitchell and Winner, SD. Cooper Garnos and family will be your gracious hosts for three days and four nights at their beautiful ranch house lodge overlooking the Medicine Creek watershed. This hunt is for four people and valid from Nov. 15 until the close of the 2019 season. Guns, licenses and ammunition not included. The hunting group may be expanded at the going rate. This hunt has become a perennial favourite, incorporating all the elements of a great outdoor adventure: birds, dogs, great camaraderie, and a terrific field experience. Presho is calling YOU! Two days of Traditional British Driven Pheasant Shooting for two hunters (Pegs) with a bag limit of 300-400 birds per day. Dates are negotiable. A member of Purdey Gunroom team and a range of Purdey guns are available for loan over the shoot are always offered/included. Also included is a tour of the Long Room and the Workshops and a visit to the Royal Berkshire Shooting School for the successful bidder(s) to sharpen up their driven shooting skills prior to the Shoots. All Flights, transport, accommodation, Loaders & Keepers tips are at the bidders costs. However transport in the UK can be arranged. Cartridges provided. Dates to be arranged in 2019 or 2020. Located in the province of Santiago del Estero, L & S Hunting Co. is a new operation dedicated to high volume dove hunts. Fertile soils coupled with perfect climate conditions result in year- round grain production. Vast roost habitat intermixed with cropland and the result is an overpopulation of doves. There are only three outfitters in the entire province of Santiago del Estero, so unlike hunts in Córdoba province, the grounds you will be hunting may have never been hunted prior. You may have seen a flock of birds in Cordoba but in Santiago del Estero you will see massive clouds of doves and the memories will last forever. The lodge is located just over an hour from the airport and the hunting grounds are only a couple of minutes away from the lodge, which features individual rooms and private washrooms. This hunt is for 6 people for 5 days and 4 nights which gets you on 8 hunts. Includes all meals and beverages and transportation to and from the field. Not included – airfare, transportation to and from lodge, shotgun rental, licenses, shells and tips. Donated by L & S Hunting Co. Hear the reels screaming and the shouts of “we’re on, we’re on”! This trip is for four nights/ two days of deep sea sportfishing for four people. game fishing on the famous 40-foot Cabo Express Hammertime. blue or black marlin (seasonal) in comfort. Trip includes all boat licenses, bait, lunches, beverages & tackle. Dates to be mutually arranged, must be used in 12 months. This trip is for four people and includes return flights and three nights accommodation. Package includes Tickets for four to Fenway Park to see a Boston Red Sox game as well as Tickets for four to Gillette Stadium to see the World Champion New England Patriots football game. The Black Diamond Land & Cattle Co. and Rob and Ruth Peters invite you and five guests to their annual calf branding and dinner. Experience a real western tradition that has continued over several decades. Guests will enjoy refreshments while watching cowboys lasso, wrestle and brand the ranch calves. If you are so inclined, you can participate and become an official wrangler. Enjoy a day in the life of a cowboy! This leather holdall is ideal as hand luggage for a 48 hour or weekend trip. Made using oak bark tanning, it comes in a rich brown shade known as ‘Havana’. Practical features include a cushioned leather shoulder strap in Purdey stripes, comfortable rounded handles, internal attachment for keys, three internal pockets (one zipped), and an expandable feature to allow for extra room. The leather on the base and corners is reinforced to protect it from damage when travelling. Dimensions: 260 x 490 x 304mm. Weight: 3kg. You and your partner will hop aboard a direct flight from Calgary to Masset on the lodge’s private aircraft. Upon arrival you will be greeted at the Masset Airport by Naden Lodge staff who will shuttle you directly to a cozy post and beam lodge on the waterfront only 5 minutes away. After being fitted with top-notch rain suits and rubber boots, you will head down to the docks to begin your fishing adventure. After a great day out on the water you will head back to the lodge to find appetizers and beverages. Load up and head out to the back deck to enjoy the sights of the harbour while your guide cleans and prepares your fish. To cap off your day you will be treated to a hot dinner, complete with wine, featuring local seafood. If you still have energy after dinner and haven’t finished telling all your fish stories, enjoy the hot tub, pool table and other amenities the lodge has to offer. Valid for PRIME TIME – August 18th – 21st, 2019 – no substitutions. 60 roosters for two hunters over two days just five hours away: anyway you do the math, you get a great answer. Your guided pheasant hunt is based out of Great Falls and includes: guides and well-trained dogs, bird processing (cleaned and packed for the trip home), breakfasts and home-style lunch, refreshments and snacks during the hunt, photos and videos, and accommodations at a downtown hotel. Your hosts will provide thirty birds per day so that you get the best hunting experience possible. Here’s a trip that proves the best is often right here at home! Skaar Creek Farm, featuring expansive, sweeping habitat with excellent and varied cover will be the release site for the Calgary English Springer Spaniel Club Fall Trials. Date specific – September 3, 2019. This immediately follows the CESSC Fall Trials with their release of 500 birds. There could be a significant opportunity for extra birds as well as the 50 that will be released. Hunt over polished Field Trial Champion Springer Spaniels. Noon luncheon provided, start time approximately 10 a.m. The pheasant hunt will be followed by a heckle shoot with dogs. Each hunter will have the opportunity to show off their style and hunting and shooting ability on 20 pigeons each in two ten-minute stages. Heckling and betting from your fellow hunters is greatly encouraged. 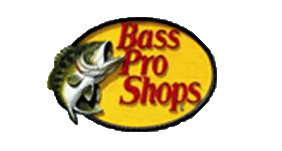 If you have ever dreamed about a fly-in fishing trip into a remote wilderness lake for trophy northern pike and amazing walleye fishing this trip is for you. You will fly out of La Ronge, Saskatchewan onto the famous Churchill River to Black Bear Island Lodge. On a typical day Breakfast is served at 7 AM. You’ll be on the lake by 8 AM. Your guide will take you to the fishing honey holes, where you’ll constantly pull in trophy fish. Midday your guide will prepare your shore lunch – fresh caught fish over a fire. At the end of the day you will be served a gourmet home-style meal at the Main Lodge. The sleep is deep, and each cabin features hot and cold water, bedding and all linens. This trip is for one person for three days and four nights. It includes guide, modern private cabin, two home-style cooked meals and shore lunches daily, boat, motor, gas, vacuum sealer and freezer service and flights to and from La Ronge. Pheasants Forever Calgary is pleased to auction off this annual Wild Card position from the field of entries. This is a highly sought-after spot in an event that is growing in popularity and is sold out again this year. Gather Friday, November 15th, 2019 for a country style Smoker supper and allocations of shooting grounds. The shoot proper kicks off on November 16th with a Saturday morning breakfast. Your team will consist of 4-6 shooters plus up to two dog handlers (maximum 8 per team). “Boast and Toast” at the end of the day for awards night and the Stavely Elks world famous prime rib supper (renowned in Southern Alberta and beyond!) Live and silent auctions both nights. Pheasants Forever is excited to offer this exceptional one-day trip to the pristine wilderness of northern BC, home of the largest population of grizzly bears anywhere on earth. Presented by Classic Canadian Tours, you and a companion will fly by chartered aircraft from Calgary to Prince Rupert, and from there board a 72-foot weatherproof catamaran for a seven-hour guided excursion. A two-hour cruise through Chatham Sound takes you to the Khutzeymateen where you’ll spend two-to-three hours observing grizzly bears. This is a once-in-a-lifetime trip to a remote, unique and awesome part of Canada that few people will ever visit. Throw in amazing scenery and wildlife spotting and you have the recipe for an experience you’ll never forget. The 72-foot Inside Passage is a luxurious, warm and fast catamaran with outer deck and extensive floor-to ceiling windows. Breakfast, lunch and dinner are included, as well as ground transfers in Prince Rupert. Depart Calgary at 8 a.m., return approximately 9 p.m.
An enchanting evening at the historic Bow Valley Ranche Restaurant for 8 guests, featuring a 4-course wild game dinner (including pheasant) carefully crafted by our chefs, and wine pairings by our sommelier. Enjoy an incredible meal made with locally-sourced, organic ingredients surrounded by the elegant country atmosphere. Experience the sophistication of a bygone era while enjoying a fine dining experience you will not soon forget.